[SatNews] exactEarth Ltd., a majority-owned subsidiary of COM DEV International (TSX:CDV) and a leading provider of Satellite Automatic Identification System (AIS) data services, and Harris Corporation (NYSE:HRS), a leader in space, geospatial and remote sensing solutions, have formed an alliance to provide a new level of AIS data service that will deliver real-time global coverage for maritime vessel tracking. This new service will leverage the persistent global coverage and real-time connectivity of the Iridium NEXT constellation through the implementation of 58 hosted payloads covering the Maritime VHF frequency band. Compatibility testing of the hosted payload with the Iridium satellites has been completed and the first launch is scheduled for early 2016, with the completed constellation expected in 2017. The new service will provide customers with the fastest, most accurate vessel information available. With revisit times and latency under one minute, the service expansion represents a monumental leap forward in the ability for both Harris and exactEarth to offer truly unsurpassed global ship tracking and maritime information solutions. 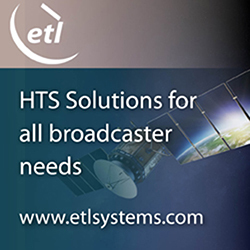 The alliance leverages exactEarth's proven and patented signal de-collision detection technology and Harris' expertise in satellite hosted payloads, advanced radio frequency technology and antenna solutions. Harris becomes the exclusive provider to the US government of AIS products and services produced under the alliance, including exactEarth's exactAIS product portfolio, while exactEarth continues to serve all other global markets. "This alliance will expand our IntelliEarth™ family of innovative solutions, which leverage Harris' world-class remote sensing capabilities to help customers around the globe make smarter operational and business decisions," said Bill Gattle, Vice President and General Manager, National Programs, Harris Government Communications Systems. "This announcement further strengthens our commitment to provide best-in-class maritime intelligence solutions to our customers worldwide," said Peter Mabson, President of exactEarth. "We are thrilled to be able to offer the shortest revisit times and lowest latency for developing true maritime domain awareness. This partnership with Harris will allow us to significantly expand the range of advanced value-added services and information solutions that we can bring to the global maritime market."